This beautiful three en-suite bedroom villa is located in Plakoti, just ten minutes from Rethymno centre. Stunning interior and picturesque views of the sea and landscape. *The plot is optional not included in the mentioned price. 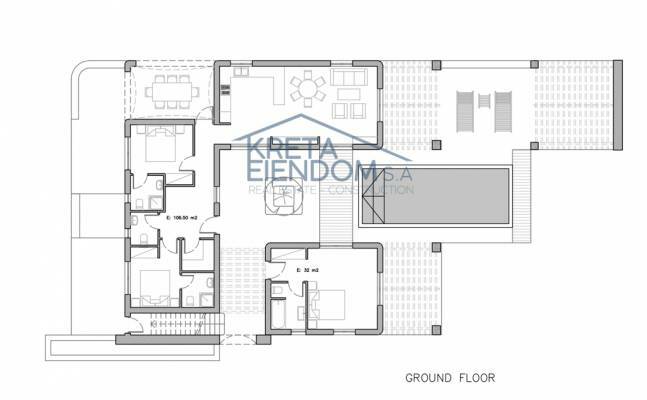 The plot has an additional cost of 60.000EUR. 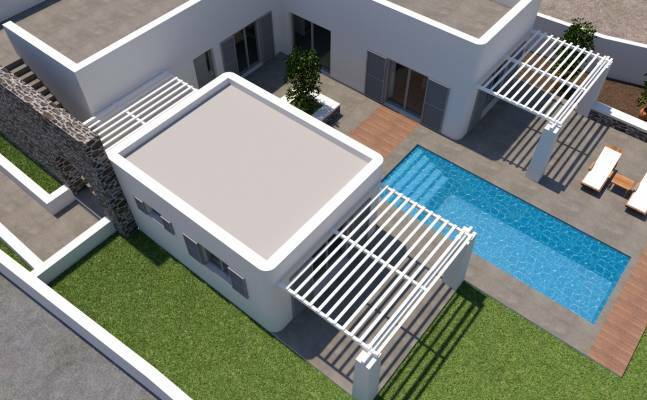 * The potential client has the option to build the villa on any other plot according to their preferences. 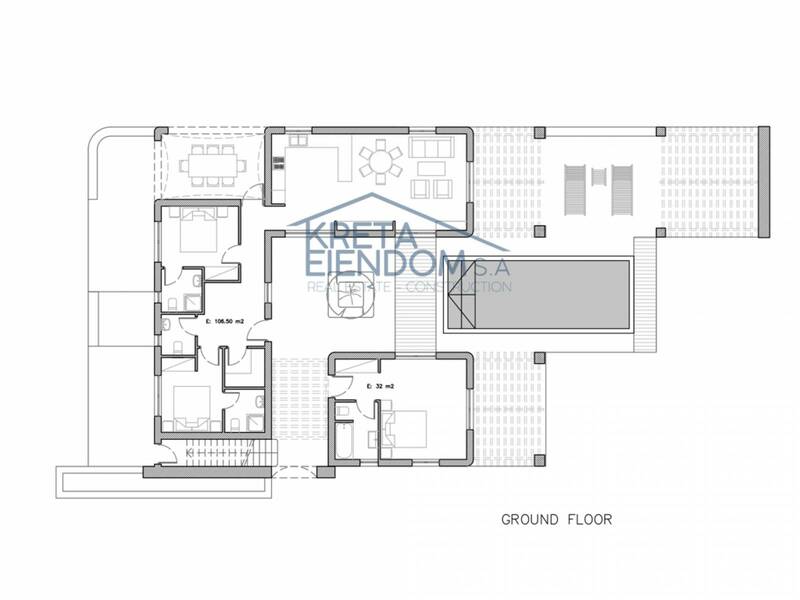 Set on one floor with a living area of 139 sq.m and a 1036 sq.m plot. On the ground floor, the property comprises a lavish entrance hall that leads to an open space living room and fully fitted kitchen. 3 bright and spacious en-suite bedrooms with access to the outside areas. You will also find a separate spacious utility/laundry room. 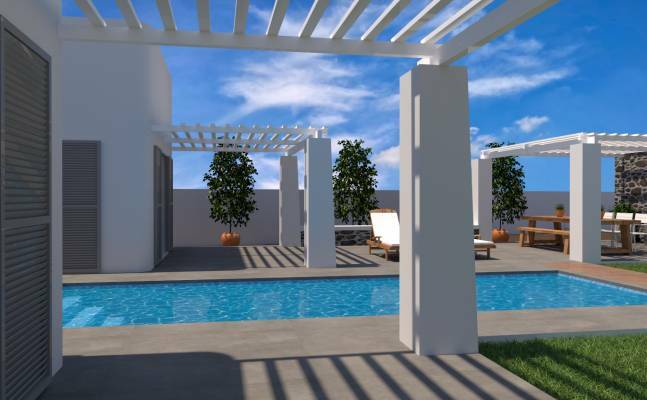 Outside areas consist of a covered patio with a barbecue and a private swimming pool. Exterior staircase leads to the roof terrace with stunning views. Other features include air condition units in bedrooms and living room, under floor heating system with heating pump and private parking. Down lights in the ceiling and under the cupboards. Internal floors will have granite tiles of high quality and of modern design. Kitchen will be of high quality materials. 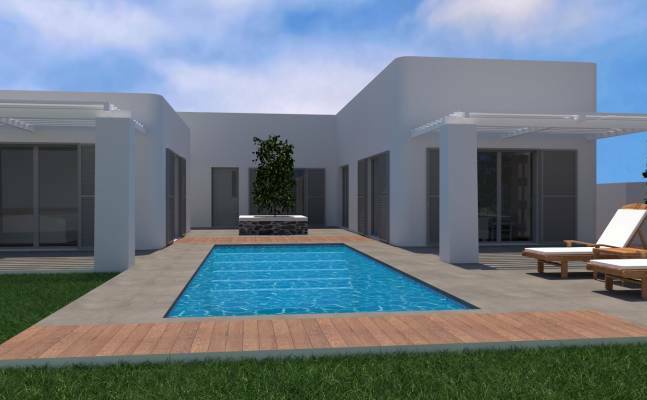 Outside patio areas will have granite tiles according to the drawings. The Villa will be connected to a central sewage network. Exterior door frames and windows will be aluminum profiles (white color) with double glazed glass panels. Less than a 10 minute walk away is a supermarket and at a distance of just one km is the traditional Cretan village of Adele, on the road to the famous historical monastery of Arkadi. Agia Paraskevi, another picturesque village, at a 2 km distance, hosts authentic Cretan tavernas. The city of Rethymnon, with its beautiful Venetian harbor and Fort, its old town with smart restaurants & its many shops, is also close by.